I found this at the Golden Oldies Rugby FB page and thought it was appropriate. Its perfectly straight...any movement like a twist of the arm or movement of the hand distorts the blade....Its a tough one. Thanks on the cofidence..I have a finished product in mind and its going to take a while to complete it but I reckon its going to be awesome. I am giving in a bit with the dragon as its more a mythical creature than a mythical monster but that was pressure from the wife to add something on my arm that she will have on her arm, She is doing mythical creatures. And to also add something with lots of colour. She is roxane, from " l'atelier de roxane " on youtube (her channel), she does pastry and co with her kids, a channel for kids. 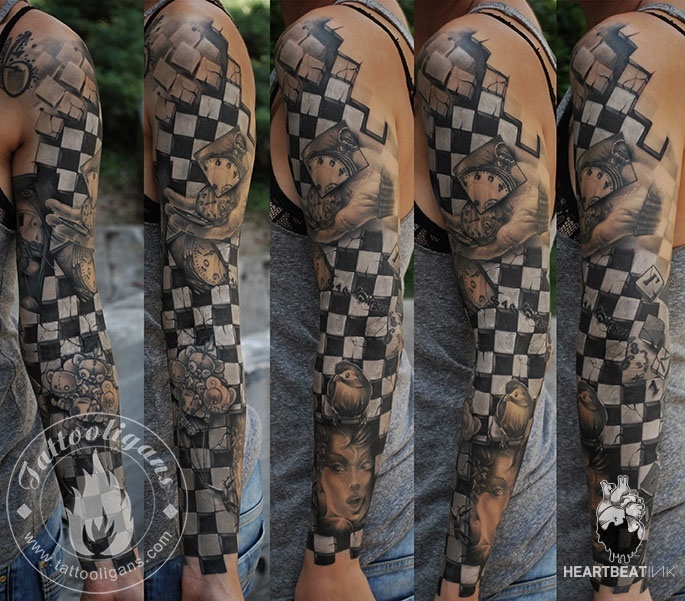 The sleeve flows nicely, but I think it'd be better with colour. Why a black and grey rose? If you love black and grey, fine, but you can still mix in the odd bit of colour to make it pop. Sards, I don't think even a master artist could nail that upper character with all those bits and bobs. Way too much going on (unless it was back-sized) and it'd end up being a mess. Every time I see this new Ink Master spin off, Angels, I can't help but think of boardies saying "she's ruined" re: women and tattoos. I have to say, I would like to see her without the neck tattoo. One of my staff got a massive picture of an English rose on her back. She regrets it bitterly. She dresses accordingly to hide it. I took her and other staff to a do to celebrate a successful project (at which she was top notch). She just could not join us in the hotel swimming pool. I love her to bits. Her husband is the bee's knees. But as she ages, it really does look terribly tawdry, and she knows it. Please tell me that is a wind-up? Your kid drew that on with felt-tips, right? It looks like one of those terribly drawn 80's metal album covers, done when the band members were 16. Something like Heavy Load or the glam Pantera would put out. Ignoring the fact that it is a fruity original image, how can you possibly suggest that what you got is a "good" representation of the source image? I could have copied that to a much higher standard when I was 14. If he's that bad at drawing, why don't you get him to make a stencil from the original? Does this guy actually work in a tattoo studio, or is it a free-lance "friend of a friend"? He shouldn't have a job. To be nice about it, it already looks 'aged'. A touch-up should be a must, packing in more colour. I'd consider changing artists. If you're going full sleeve, you'll want these to connect better so are going to need a way to link them / make them flow. That's a bright picture. It really is exactly what I wanted. Not too much colour. Not a huge fan of bright colours. It links the wolf and gargoyle perfectly. I am putting a moon around all three to link them. Discussed already. The tail links the one half of my arm to the other. Really can't see the effect there and it's wrapped so too bad. Only if I did a video would you understand. Very happy with the artists style. I have 2 former tattoos that have faded so badly I am going to have to cover them. Like the bold lines and dark ink. Mythical creature ? A good, winning Bok captain, hailing from Western Province ? Very happy with the healing of the dragon so far. Unlike my gargoyle it's not in any creases so no cracking. Was a nightmare with gargoyle. The detail on the dragon is holding up well and I can't wait to see it healed completely. The positioning is perfect. I love how the tip of the upper wing curves under the bicep finally moving my arm from lower arm to upper arm. And the way the tail curles across the arm makes for some interesting spaces for my Frankenstein. Might have to do a spider web around the elbow. But it will go with my theme. See, that one would actually work. Seeing as it's traditionally a prison tattoo and it will be tying together a bunch of other tattoos that look like they were done in prison. Plus it is also a beloved symbol of skinheads and other prison racists, so it will get WT's stamp of approval too. 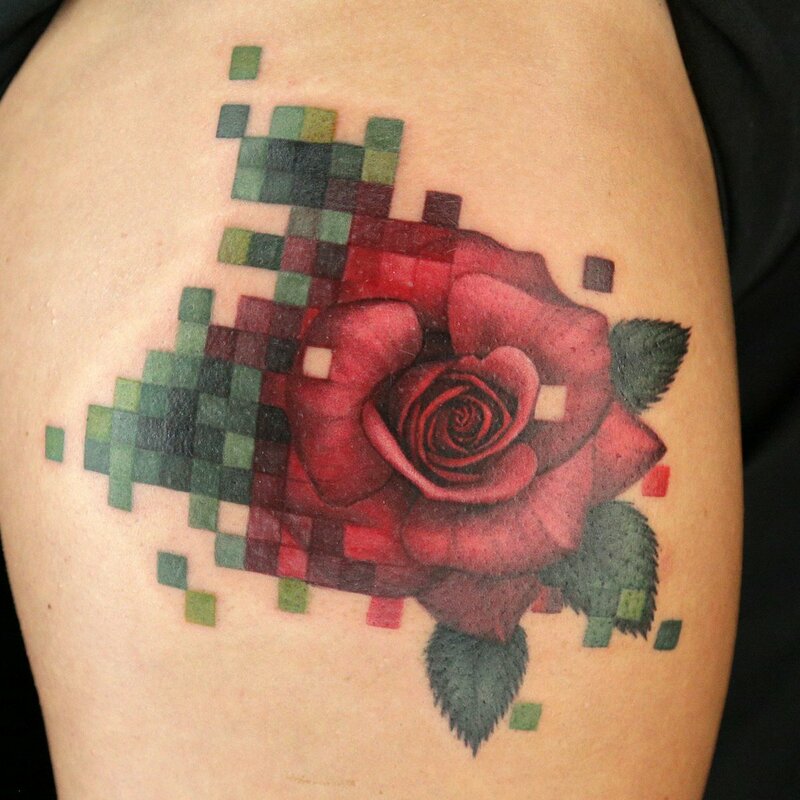 This week's challenge was something I've never seen before ... 'pixelated' tattoos. Most didn't meet the challenge of distorting parts as if it was down to pixels of colour, but still showing recognisable shape of the original. This one came close (but got critiqued for not having thick enough outline, with the judges being concerned that it'd be a red and green blob down the road). Now that Spike is the Paramount network, segments of the show are appearing on youtube if anyone's interested. Very happy with my dragon. Healed nicely. Position. Colour. The way it links the upper arm and both sides of my arm . 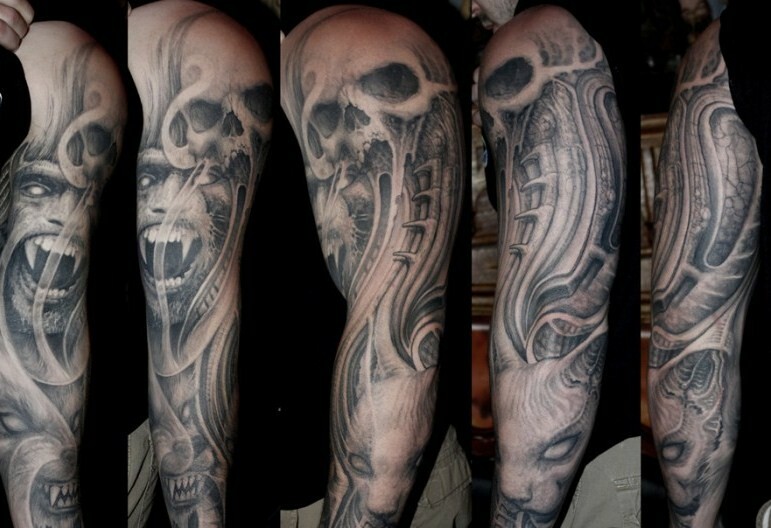 And frames the lower bicep. Last edited by Sards on Tue Feb 13, 2018 6:40 am, edited 1 time in total. Aren't you pushing 60? 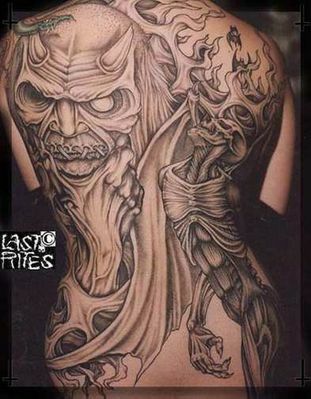 Poor skills of the artist aside, what a silly subject matter to want on one's skin. Piss off. Mid 50s. It's what I enjoy. It's s consistent subject matter. No need for nautical anchors or butterflies or hearts. It is rather limited. Not many mythical monsters. I only really have a few left to add. Last edited by Sards on Tue Feb 13, 2018 9:55 am, edited 1 time in total. Hey Sards what ink have your tattooist's used? Well that's debatable. My leg still has good contrast after 3 or 4 years and I wear shorts all year round. It really comes down to quality of the ink and the skills of your tattooist and to a lesser degree, how you look after it. Too deep and the ink 'sinks', not deep enough and it fades. If the penetration isn't perpendicular the ink can pocket. Lots of things to take into account. Of course. I apply cream every night. Problem is that I love the sea and sun. It's the light shading that goes first. My wolf is getting a bald patch. 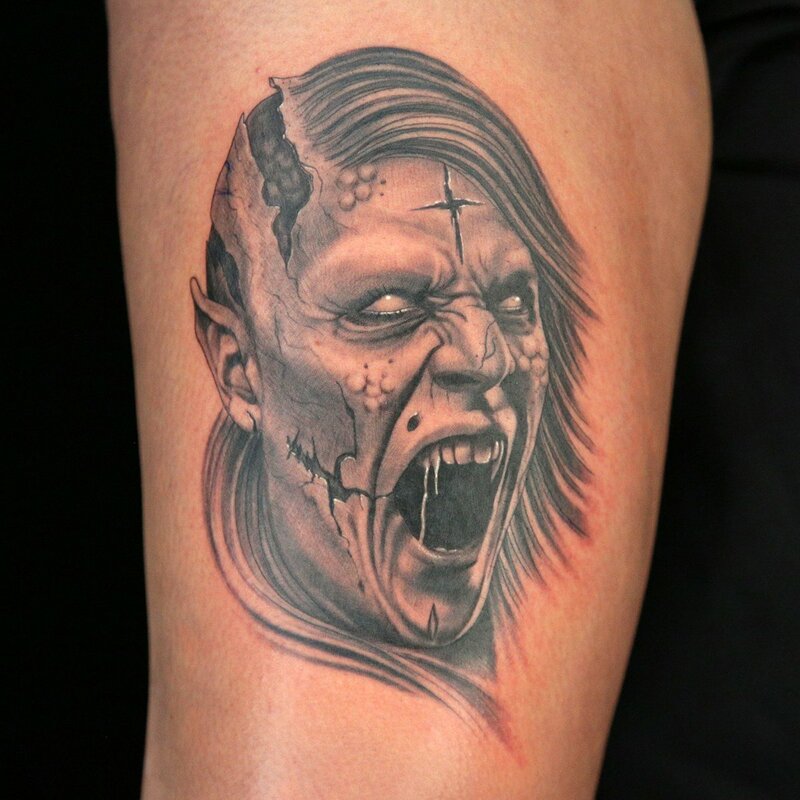 Sards, Ink Master's elimination challenge was totally for you ... the undead. This is just insane....I am going to relook at my gargoyle. I love those claws on the wing and may just add shading to accentuate the body form now that I have decided to move my upcoming moon over the dragon. Yeah it does look a bit weird. I personally don't like hand or neck tattoos (perhaps saying I'd never get one myself is a better way of saying it as I'm not judging). 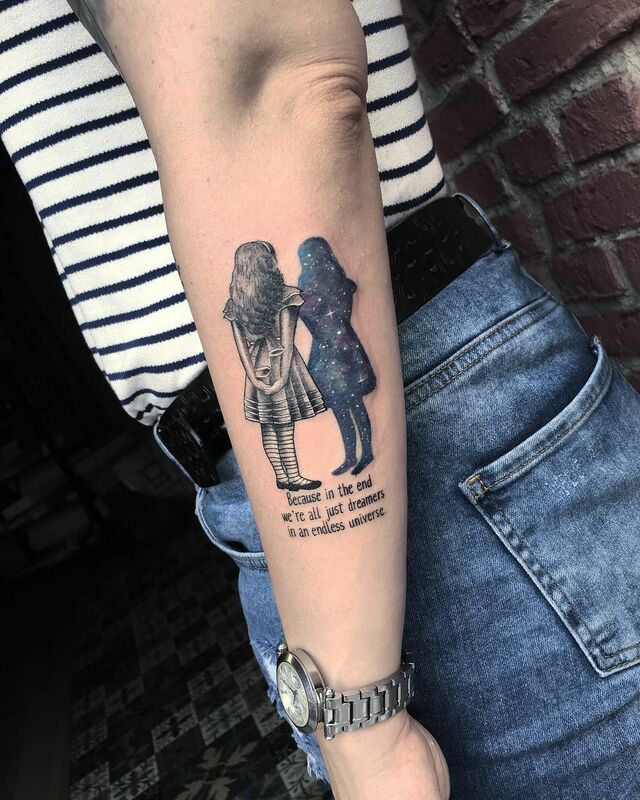 Have you not actually done any research into how modern tattoos can look? If you haven't looked at anything pre-1970s, it may explain why you actually think your tattoo artists are competent, instead of being embarrassingly bad. 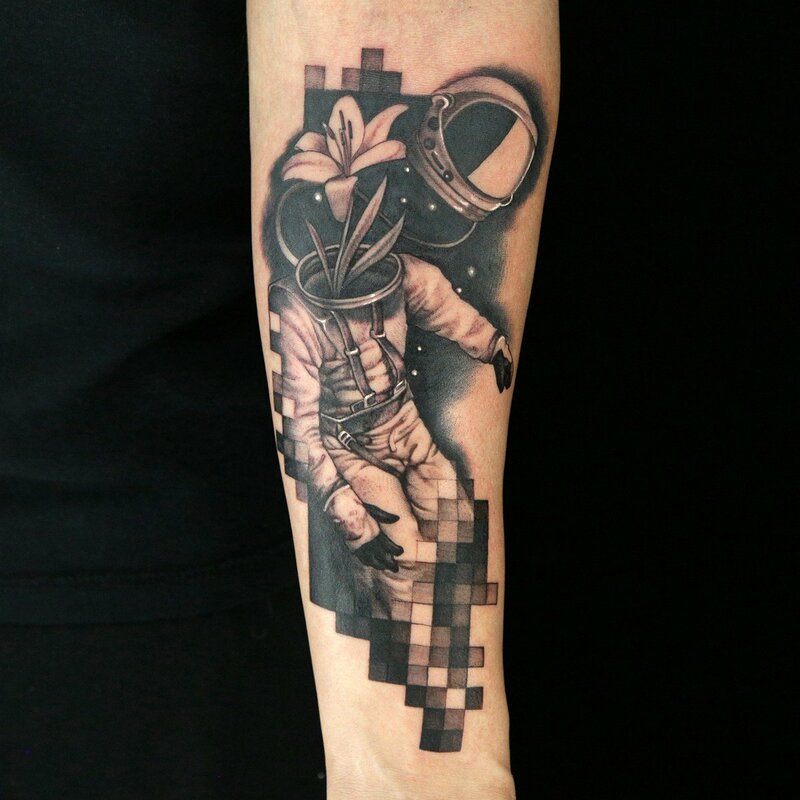 Surely you have at least looked at Paul Booth's "dark art" tattoos while looking for ideas? He's not the absolute greatest, but he is the most famous. 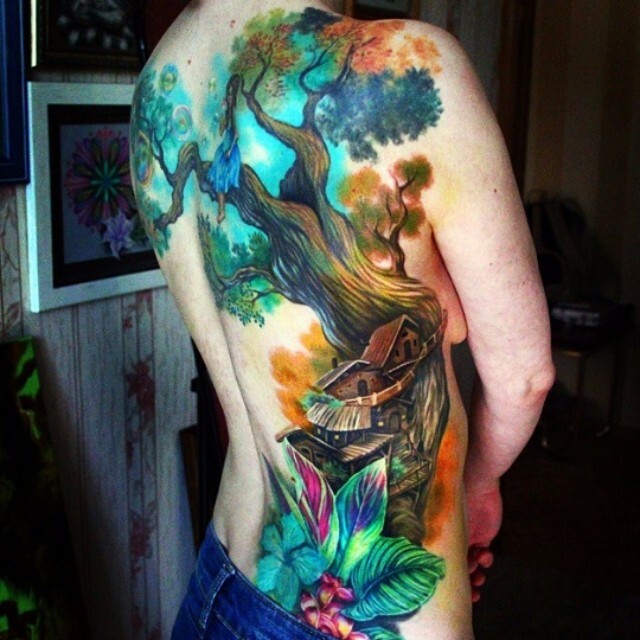 There are hundreds of other artists producing excellent tattoo work along similar themes. Is that Godzuki from 1970’s hanna Barbara cartoon Godzilla ? First challenge on last night's InkMaster was to do a realistic mini tattoo - smaller than 2 inches in diameter. They were all great, but this guy nailed it with the distorted legs that can be seen through the 'translucent' wings. Imagine having the poster you had on your wall in your first year of university on your wall for the rest of your life. this thread has inspired me !